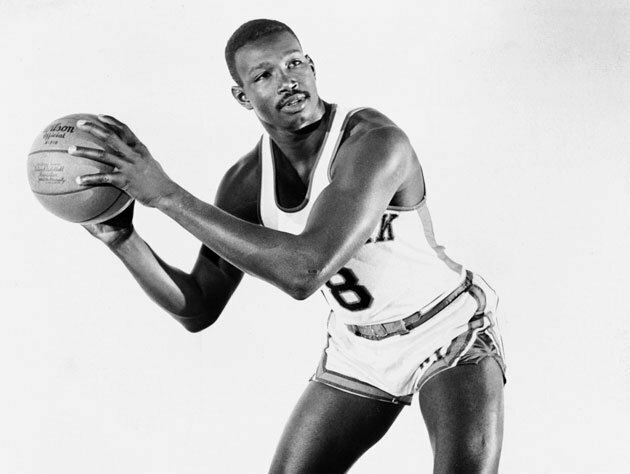 NBA legend Walt Bellamy, who averaged 20.1 points and 13.7 rebounds in 14 seasons, died Saturday at the age of 74. The Atlanta Hawks confirmed the death, but didn’t provide details. The Hawks said Walt Bellamy attended the team’s home opener Friday night. ”Walt Bellamy was an enormously gifted Hall of Fame player who had a tremendous impact on our game,” NBA Commissioner David Stern said in a statement released by the league. Walt Bellamy, a former Indiana University star, won an Olympic gold medal in 1960 and was the first overall pick by the Chicago Packers in 1961. He was the rookie of the year with Chicago, averaging 31.6 points and 19.0 rebounds, and also played for the Baltimore Bullets, New York Knicks, Detroit Pistons, Atlanta and New Orleans Jazz. He played in four All-Star games and was inducted into the Hall of Fame in 1993. ”The Atlanta Hawks family is saddened to learn of the death of Walt Bellamy at the age of 74 earlier today,” the Hawks said in a statement. Walt Bellamy was traded three times, going from the Bullets to the Knicks in November 1965 for Jim Barnes, Johnny Egan, Johnny Green and cash, then to Detroit along with Howard Komives in December 1968 in the deal that brought star forward Dave DeBusschere to New York. Detroit sent Walt Bellamy to Atlanta in February 1970 for John Arthurs. In three seasons at Indiana, the 6-foot-11 former New Bern, N.C., Walt Bellamy averaged 20.6 points and 15.5 rebounds.